I was able to confirm from Gary Ecelbarger that he does indeed have a new Valley Campaign subject book coming out in the near future. The working title is Shenandoah Shockwaves and the period covered is May 22-25, 1862 so the book includes Front Royal, Middletown and Winchester. Scheduled for a Summer 2007 release, it will be part of University of Oklahoma Press's Campaign and Commanders Series. As an aside, my mention of Lulu.com in a previous post about POD publishing was merely to highlight an example and was not meant as an endorsement of that particular company. I've never actually held any of their products in my hands. I recently finished reading Paul Branch's Siege of Fort Macon and will post a short review next week. Currently, I have Stephen Townsend's The Yankee Invasion of Texas on the nightstand. Looks great so far. 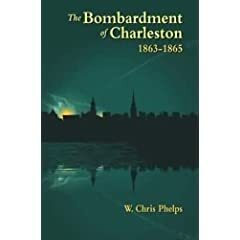 "The Bombardment of Charleston: 1863-1865"
If you're interested in a general study of the Union shelling of Charleston, SC, The Bombardment of Charleston: 1863-1865 by W. Chris Phelps is a somewhat useful, albeit brief, summary. Although not exhaustively researched and written in a popular narrative style, the book is actually very narrowly focused on the long range artillery bombardment and its physical effects on the city of Charleston. While, the controversial use of POWs as human shields was discussed, the civilian experience is only lightly touched upon. Technological discussions and coverage of sea/land operations concurrent with the time period covered in the book are cursory as well. Although more photographs might have been in order along with a period street map, maps showing the areas targeted by the shelling at different periods are included. Additionally, while the monograph is otherwise well written and edited, a disturbing question remains as to how a work focusing solely on rifled artillery bombardments could misspell in every instance the name of each side's most prominent gun designer, Robert Parrott (not Parrot) for the US and the CSA's John Mercer Brooke (not Brookes), and their namesake weapons. Overall, although there's nothing particularly wrong with it, I am guessing that The Bombardment of Charleston has a rather limited utility and reader appeal beyond local interest. Participant accounts of the siege of Charleston by Edward Manigault and Samuel Jones exist, along with the more recent standard history written by E. Milby Burton, but it has been a while since I read Burton and I haven't had the pleasure (or pain?) of reading Jones or Manigault so I'm not sure sure if Phelps' book provides a great deal of new information. 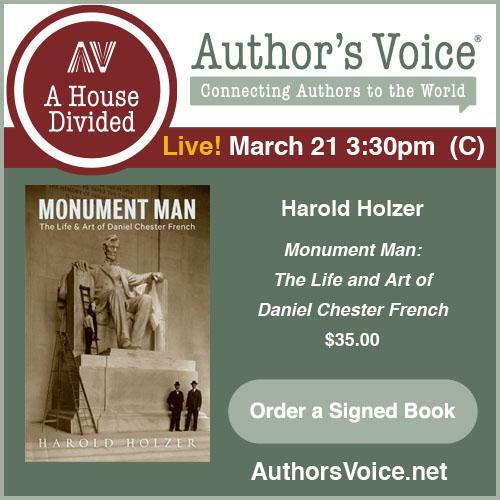 Detzer: "Dissonance: The Turbulent Days Between Fort Sumter and Bull Run"
Dissonance: The Turbulent Days Between Fort Sumter and Bull Run is the concluding (yet chronologically middle) volume of David Detzer's early war trilogy. If you've read Donnybrook and Allegiance, then you know what to expect from Dissonance. Detzer's curious but lively writing style, ranging from folksy charm to brutally abrupt characterization of people and events, is unpredictable and fun to read as he doesn't shy away from chipping away at accepted history. From my reading of the series, Detzer seems most interested in the middle-ranked "man on the spot" decision-makers. The character and actions of men like Baltimore police marshal George Kane and Gosport Navy Yard commandant Charles McCauley are placed front and center in his narrative. History by top-down management of events is deemphasized here, and historical "big men" like Lincoln and Davis are mostly peripheral to the story (however, a critic could reasonably cite this as a common weakness in the series; for instance, in Dissonance, Jefferson Davis is almost ignored while in the earlier Allegiance, the focus is so much on Robert Anderson that Lincoln's crucial actions are largely undeveloped). A notable aspect of Detzer's writing is his apparent desire to reexamine the actions of individuals long ago consigned (unfairly by his assessment) to places of infamy and/or incompetence in our historical memory and give them prominent places in his narrative. In Dissonance, Detzer credits George Kane with saving the lives of hundreds of Federal troops passing through the Baltimore riots. Similarly, the much maligned Capt. McCauley mentioned above is more a victim of Lincoln's early blundering than a man bearing the heaviest of responsibilities for the Gosport debacle. According to Detzer, they were honorable and competent men doing their best in very trying circumstances, yet are generally wronged by history (also note the measured treatment of Robert Patterson in Donnybrook). That's not to say the author merely reassigns blame; but rather he attempts a more nuanced assessment of individuals dropped into a maelstrom of which they could have no prior experience or training. Of course, in the very next paragraph he can be bluntly, even cruelly, dismissive of the character or capacity of another unfortunate person. That's just part of the fun of reading David Detzer, equal parts satisfying and infuriating. The centerpiece of Dissonance is the author's wonderfully constructed narrative describing the passage of northern troops through the streets of Baltimore. I feel my understanding of the events before, during, and after the riots has been enhanced considerably. The confusion regarding the defense and ultimate abandonment and partial destruction of the important Gosport Navy Yard near Norfolk, Virginia is also given a prominent position in Detzer's story. Other people and events covered in some detail include: Henry Wise's efforts to ensure Virginia's secession, the capture of Harper's Ferry, and Ben Butler's (and 7th NY Col. Lefferts') efforts to get northern regiments across Maryland and to the nation's capital. The book ends on May 23, 1861 with the passage of Virginia's referendum approving secession. The problems I have with the book are relatively few. A few more maps--and more readable street maps--would have been nice. My most significant complaint is with the citation methodology employed. The notes are far too few in number, often spaced several pages apart leaving numerous quoted passages and long stretches of text needing attribution to a single citation! It is needlessly burdensome and all too often impossible for the reader to find exactly what source (or pages from that source) was used for any given quote or piece of text. Methodological issues aside, Dissonance closes out the Dezter trilogy with another entertaining and informative volume. The writing style, with all its descriptive power and boldness, is a prime example of accessible historical writing. The style isn't for everyone, but readers of all levels can gain from reading Detzer's books. With engaging narrative history like this, individuals new to the study of the Civil War might be inspired to delve deeper and experienced readers will be forced to reconsider previously entrenched interpretations of many important events that occurred during the first few months of the conflict. Eric is spot on in his analysis of Civil War online discussion groups. "Every group seems to have a real “know-it-all”. "...and so many names come to mind when Eric relates the common characteristics of the self-appointed group overlord whose "standard response is to adopt an extremely insulting and condescending tone that stops just short of being a flagrant personal attack, dress it up in a veil of trumped-up courtesy, and then wait for the recipient to be offended. It’s obviously a calculated thing, because it happens all the time. Then, when the poor unenlightened fool responds angrily, he takes on the role of the martyr with a hurt tone. To make things worse, X’s got a group of sycofants who will defend him, even if he is being rude and insulting." One set of boards where this phenomenon is noticeably absent are the Civil War Message Boards created and moderated by Jim Martin. Organized by specialized subject (artillery for instance) or by state, professional historians, authors, and multitudes of informed researchers and enthusiasts frequent them and contribute to the discussions, often sharing their research. I only follow a few of the boards regularly, but the ones I frequent the most (AR, MO, KY, and LA) are well-moderated. Wetherington: "Plain Folk's Fight: The Civil War and Reconstruction in Piney Woods Georgia"
A number of fine regional histories have emerged in recent years. With Plain Folk’s Fight, Mark Wetherington’s contribution to this growing body of literature takes us to a five county region in south-central Georgia. This ‘piney woods’ or ‘wiregrass’ community of wealthy planters, small business owners, yeoman farmers, and slaves makes for a particularly enlightening socio-political and economic study. The author joins Gary Gallagher and others in presenting a well argued and amply supported case that effectively refutes the notion that class conflict was the primary factor in wartime home front collapse. When it came to support for the war, interlocking familial, cultural, and religious ties combined with a common racial consciousness tended to trump both class differences and antebellum political conflicts between old line Whigs and Democrats. The ‘plain folk’ of the book’s title—those households owning fewer than 10 slaves and working less than 150 acres of land—supported secession and the war on a large scale. Plain Folk’s Fight also supports the recent generational gap findings of Peter Carmichael’s The Last Generation, with the wiregrass region’s emerging young men (those in their 20s and 30s) enthusiastically embracing Southern Rights candidates and secession rather than the caution and compromise of their fathers. Plain Folk’s Fight is a revealing study in many ways and one is led to speculate how its findings can be applied to other regions across the South. Many preconceived notions are challenged. In one wiregrass county, the author discovered that slaveholding families contributed a higher percentage of soldiers to the army than their representation in the population. Similar findings throughout the book go against the conventional wisdom of a more simplistic ‘rich man’s war, poor man’s fight’ interpretation. Additionally, Wetherington did not find a significant disruption in the social order of the home front due to the mass exodus of white males into the army. In one county, 70% of prewar heads of household remained in charge throughout. Disabled veterans, returnees, and draft exempted men filled many other places, leading the author to question the mythological Confederate home front populated chiefly by black laborers and white female heads of household. These points are just a small sample of what you’ll find in this remarkably comprehensive regional history. The arguments therein are well-developed, supported heavily by statistical analysis and by good use of a wide array of primary source materials from manuscript and archival sources to government documents, newspapers, and periodicals. Plain Folk’s Fight is a study that general readers may find onerous in places but specialists will revel in the author’s penetrating insights and minute analyses. Dimitri posted today about a need for more electronic book sites. With the ready availability of print-on-demand at fairly reasonable prices, I am not certain that just offering e-books alone is a very good solution to getting scarce books back into general availability. POD, in combination with an author website similar to Fred Ray's (which provides abundant information about the book and extras not able to be incorporated in the printed book), seems to me to be a good way to get wonderful books back into circulation. Unlike the retail version, my hardback review copy of Ray's book was a high quality POD, a great example of what can be done. Although I am of the generation that's been using computers since grade school, my comfort with electronic media does not extent to wanting to read books off of a computer screen for pleasure. Choice is wonderful, and a POD publisher like Lulu-- which came to my attention as the print partner of Twin Commonwealth Publishers-- offers both printed and e-book versions (with the electronic files price discounted). Here's an example of a Civil War offering, with both print and electronic options. Presumably, like many people, I often run across mention of interesting sounding books (mostly pre-Internet era publications) in notes and bibliographies of which little can be found in the way of content information online. One of my big complaints about publishing websites is they provide prospective buyers with very little information about their books. At the very least, I like to glance through a table of contents as it gives me some idea of the scope of the book, how many pages are devoted to some major theme or subject of interest, etc. Amazon helps with this for large numbers of more recent books, but, in several instances, I've found the basic search function of the Library of Congress site to be of great help when seeking information about some older, more obscure CW books. It's very hit and miss, but a detailed table of contents is available for many books from the LOC's online catalog. Regular readers know how much I like Ironclad's Discovering Civil War America series. I just noticed that volume 4 "The Battle Between the Farmlanes: Hancock Saves the Union Center; Gettysburg, July 2, 1863" (by David Shultz and David Wieck) is available for pre-order at a discount. I received in the mail the final installment of David Detzer's trilogy dealing with the first 100 days of the Civil War. Look for a review of "Dissonance" here sometime over the next couple weeks. Laurie over at Civil War Interactive has started a new weekly feature TWIB: This Week in the Blogs: A Weekly Guide to Civil War Blogs. It is scheduled to be updated each Thursday afternoon ... friendly hint for next issue: it's Drew not Andy :-). Thanks to everyone at CWI for striving to direct more readers to the various Civil War blogs. "General Butler: Beast or Patriot"
Because I liked Christopher Pena's flawed but informative Touched By War: Battles Fought in the Lafourche District (and its revised and expanded reissue Scarred By War: Civil War In Southeast Louisiana ) well enough, I decided to try his latest work General Butler: Beast or Patriot - New Orleans Occupation May-December 1862 . Although the research effort in Touched by War and Scarred by War was adequate, the author failed to consult a number of collections of unpublished source materials. The revised edition improves upon this to some degree. Unfortunately, this follow up effort, a history of Butler's stint in the Big Easy, leaves more than a bit to be desired. 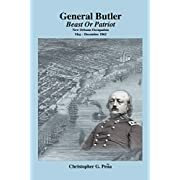 General Butler: Beast or Patriot is far too dependent on secondary sources, mainly Chester Hearn's When the Devil Came Down to Dixie: Ben Butler in New Orleans and biographer James Parton's General Butler in New Orleans. History of the Administration of the Department of the Gulf in the Year 1862 . The author admits that the Hearn book serves as a blueprint for his work, but I don't believe Pena adds enough original research in Beast or Patriot to allow the book to stand confidently on its own. Perhaps it can serve as a useful general introduction to the subject--a distillation of the current state of research--but individuals with a more serious interest in Butler's stay in New Orleans would certainly be better served to consult works that consistently cite original sources. Preston Filbert's The Half Not Told: The Civil War in a Frontier Town is one of those Civil War books that are published and almost immediately --and undeservedly--forgotten (although the vague title probably didn't help much!). The Half Not Told is a fine history of the Civil War in NW Missouri. Although it centers around the bustling town of St. Joseph, the book also covers political and military events over the larger area of Andrew, Buchanan, and Platte counties, all of which border the Missouri River. It really is a unique piece of history as the NW region is almost completely overshadowed in the publishing world by histories of events that occurred in the western and southwestern portions of the state. While not neglectful of political analysis and social history, the author's focus on military subjects is a welcome change of pace from recent city studies that tend to move these events into the background. One of the most confusing tasks of any study of the Civil War in Missouri is the attempt to make sense of the labyrinth of militia organizations from the state (Kirby Ross' short article Federal Militias in Missouri is of some help). Although Filbert forgoes a systematic analysis, he does provide some insight into the militia system that prevailed in the region when regular Union formations left the state. One of the more fascinating organizations is the so-called "Paw Paw" militia, armed by Federal authorities but made up largely of Southern-sympathizing citizens. A tragic event that I had not heard of, the "Platte River Tragedy", is detailed in the book. The Platte River railroad bridge east of St. Joseph was weakened deliberately by fire and a train loaded mainly with civilians plunged into the water, killing and wounding scores of passengers. The perpetrators were never caught, but accusations of involvement would be used as weapons to stain many a reputation. Filbert, a journalist himself, also makes an interesting point about how towns along the Missouri River attempted to manipulate politics and/or social turmoil for economic gain. Papers in one town would attempt to exaggerate (or just as often completely fabricate) reports of violence and secessionist sentiment in rival communities in the hope that easterners would pick up on the news and redirect their business towards their own merchants. The increasingly fierce economic rivalry between St. Joseph and Kansas City was exacerbated in this manner. Of course, in the post-war period, Kansas City became king. The Half Not Told is a slim volume that contains much to recommend it. 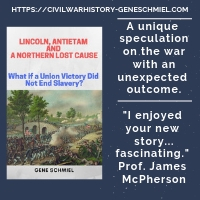 It's a well written and researched study that will increase the level of understanding of any reader interested in learning more about Civil War Missouri's tangled politics and vicious guerrilla warfare. Ugh...I just finished another book that had at least one misspelled word on nearly every page. Word usage common to Civil War contexts is another endless problem. Innumerable writers can't seem to appreciate the difference between 'ordnance' and 'ordinance' and if I have to read about one more 'eminent' attack I am going to scream. Since I know nothing of the hardware and software involved with modern publishing, I can only guess at the most common source of the problem--man or technology. Anything's possible these days with the increasing lack of editorial oversight, but it is still hard to imagine an author submitting a manuscript containing hundreds of spelling errors...or perhaps it isn't! Just in terms of spelling, if you hand over a clean manuscript to POD establishment Authorhouse and send the same to Chapel Hill will a clean book come out of both? Or is the difference the no staff at Authorhouse vs. trained professionals at UNC? Or are outcomes based on a mix of both on a case to case basis, immune to generalizations? I would love to be educated about the quality control steps taken by great publishers like University of North Carolina Press compared with the omissions of Press X (fill in your favorite consistently bad traditional publisher). Jack Zinn's "The Battle of Rich Mountain"
Jack Zinn's The Battle of Rich Mountain (Parsons, WV: McClain Printing Co., 1971 (OP). pp. 51, maps, notes, biblio) is a modest pamphlet that relies on few primary sources beyond official reports. Although footnoted, the publication appears to be directed toward the tourist and general reader audience. It came to my attention while I was searching for a reasonably priced copy of Zinn's R.E. Lee's Cheat Mountain Campaign (Parsons, WV: McClain, 1974 (OP). pp. 230) -- a more serious piece of history. Although I was recently able to upgrade my own Battle of Rich Mountain from photocopy to original at little expense, copies of the pamphlet routinely go for $25-$50 on the secondary market. I believe one would be hard stretched to justify paying anywhere near the upper range of that scale for it. There is very little information contained therein that you can't get elsewhere from readily available sources. The maps are a bit crude and, moreover, their potential usefulness is spoiled to a large degree by a lack of scale. Reading the pamphlet certainly isn't a waste of time, but limited book collecting funds would be better spent elsewhere, in my opinion. Speaking of large scale projects, defense analyst and Civil War Missouri historian Bruce Nichols is in the midst of an admirable multi-volume effort of his own. He is compiling an encyclopedic (or at least that's how I'd describe it) history of guerrilla warfare in Missouri, with each volume representing a year's time. 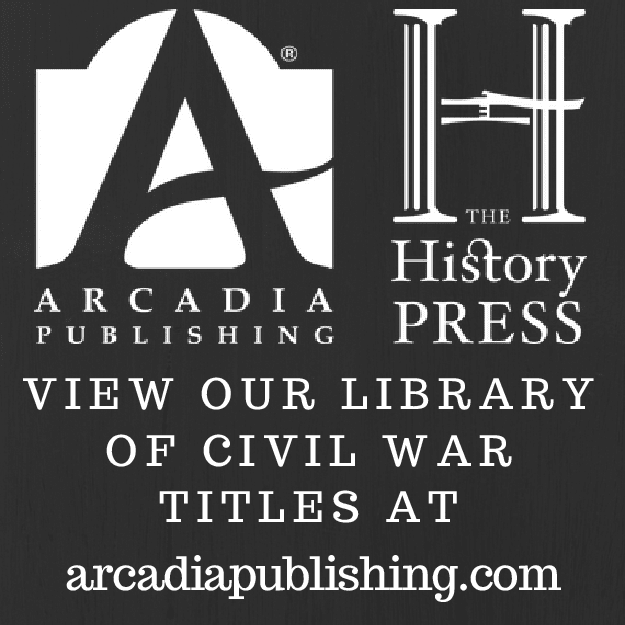 Volume I, Guerrilla Warfare in Civil War Missouri, 1862 (McFarland, 2004) organized events geographically by dividing the state into four regions and chronologically by season. Keenly suited to the job, Nichols is a well-known researcher of the subject matter and I am pleased to discover that Volume II is scheduled for release by McFarland in Fall/Winter 2006. Presumably it will be organized along similar lines. This series should become a standard reference work. I love the choice for cover art...one of my favorite Civil War paintings.